Do you design single family residential homes? Do you install insulation in town homes? Would you like to start flipping houses? Then the LEED Homes credential is a great talking point when marketing your services. Try our tools below to help you get accredited faster. GBES has the LEED AP Homes Exam Prep that you need. Professionals like you our products to help you study so that you feel fully prepared to pass the first time. Time has shown that the GBES online LEED Exam Prep study tools have helped over 110,000 people advance their green building careers with a LEED credential. The LEED AP Homes exam will test you on the best practices for the design and construction of a green home. Like the ideal places to locate water heaters and laundry rooms. There are 100 multiple-choice questions on this exam. All students must test at a Prometric Testing Center. While the Green Associate exam tests general green-building knowledge, this AP exam is much more specific. The Homes exam focuses on thresholds required to earn LEED Homes certification, like installing at least R-4 insulation on all domestic hot water piping. The exam is a closed-book professional credential exam. So you better put in ample study time. 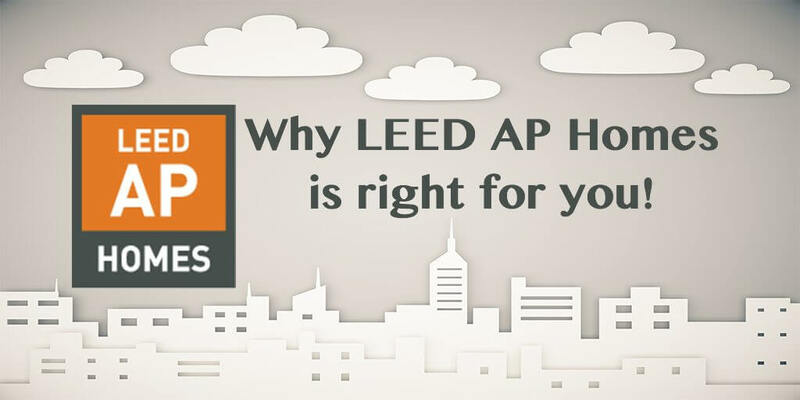 Is LEED AP Homes Right for you? If you still have questions about which LEED AP credential to pursue, check out our GBES blog on the most common types of professionals who earn the LEED AP Homes credential. Does this path make sense for your green building career?